Nidia Gongora has gained international reputation for her work with Quantic and projects such as Ondatropica.In Colombia, Nidia leads Canalon de Timbiqui, one of the greatest bands preserving the legacy of marimbamusic in the South Pacific region of the country. 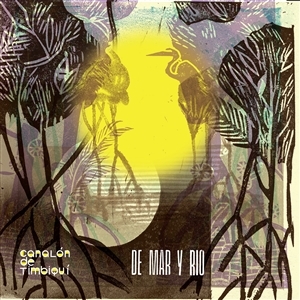 A sound that has given voice to the afro descendentcommunities in an area that is both, one the last purest jungles on earth and the place where Colombianinternal conflict has had its deepest impact.Canalon de Timbiquis music is a mystical journey to the sound of the jungle through the history of a communitythat has strongly preserved their African cultural heritage, a unique sound that reflects religious syncretism inpowerful rhythms lead by seasoned women singers. De mar y rio is currulao, bunde, juga and alabao in itspurest form. Deep enchanting choir vocals and heavy percussion delight from the Pacific Coast jungle ofColombia.